As rapidly evolving and escalating cyberthreats on industrial facilities grab all the headlines with their surprising potential for damage and long-lasting consequences, those who deal with security for industrial sites and critical infrastructure and facilities know the real-world dangers posed by intruders and other perimeter security threats are still omnipresent, always growing and capable of becoming catastrophic in a matter of moments. While these may be considered traditional threats compared to the threats facing computer systems and connected devices within a facility, the answer to better protecting against them lies in advanced technology. Namely, in automated drones. The security threats faced by industrial facilities and critical infrastructure sites are numerous and potentially devastating. These sites and facilities are at risk of theft, sabotage, politically-motivated damage, incidents or accidents that harm employees, civilians or the environment, and even terrorist attacks. To guard against these serious threats, industrial organizations and critical facilities lean on the five D’s of perimeter security: deter intruders with signage and other warnings, detect intruders with security equipment, deny intruders with access control, delay intruders with features like interior locking doors in the event an intruder breaches the perimeter, and defend against intruders with security personnel and with the cooperation of law enforcement. 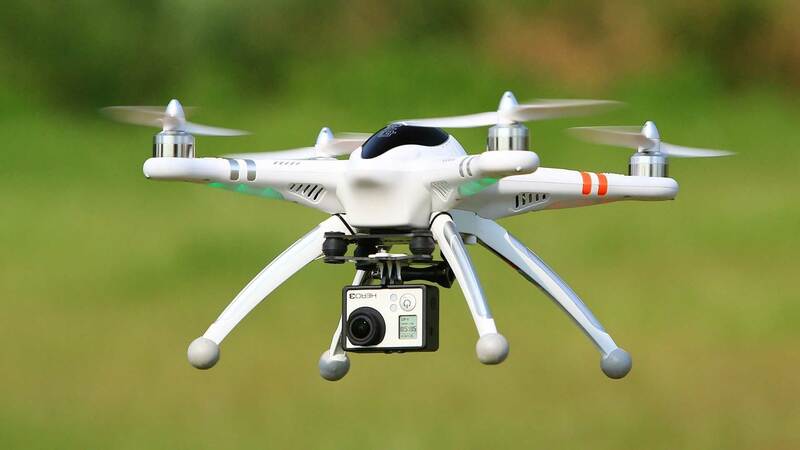 Conveniently, the word drone also starts with D, which will hopefully help industrial security decision-makers remember what a major role drones can play in intruder detection and perimeter security. Drones or unmanned aerial vehicles, often shortened to UAVs, have been making inroads into many aspects of many industries and with the advent of automation in drones, these high-flying solutions are becoming cost-saving, time-saving, life-saving tools essential to organizations all over the world. An automated surveillance UAV is one that can fly all of its missions from start to finish without ever requiring a pilot or operator. This does away with the tremendous expense of a drone pilot, as well as the time that would otherwise be spent waiting for a pilot to respond to a request for flight. This complete elimination of flight delays is essential for security and surveillance as it makes it possible to fly both scheduled missions as well as on-demand or emergency response missions. This enables regular perimeter patrols that complement CCTV systems, transmitting high-def live video to security personnel. As automated drones do not suffer from blind spots or panning limitations the way CCTV cameras do, security personnel can be confident they are seeing the full security picture of any given area, reducing the need for foot patrol in far-reaching areas. Automated flight also enables instant response flights designed to detect and follow intruders or provide visibility into emerging threats and situations, arming security personnel and other decision-makers with an unprecedented amount of information, helping to inform the fastest, safest and most effective possible response. Leading automated drones can also perform their own threat assessments using tools like thermal imaging as well as issue alerts, all thanks to cutting-edge data analysis capabilities. Some are even capable of changing their own batteries, ensuring they are always ready to fly frequently as scheduled or at a moment’s notice, and can change their own sensors to increase their range of applications. Even as the list of ways malicious people can steal from or break into industrial facilities or critical infrastructure sites grows due to increasing connectivity and cyberattack capabilities, these sites and facilities will always be at risk from old-fashioned intruders looking to get in and steal, damage, sabotage or cause even bigger destruction. However, the ability to better protect against these threats using fast detection and increased visibility is just one of the many benefits industrial firms all over the world are beginning to gain from automated drones. For some criminals, technology giveth, but for many others technology taketh away.